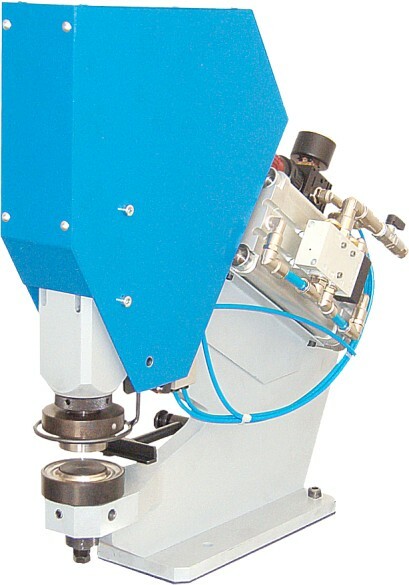 Compact high performance machine takes the strain out of inserting all types of eyelet. Watch the videos below to see how simple it is to operate. Totally air operated . 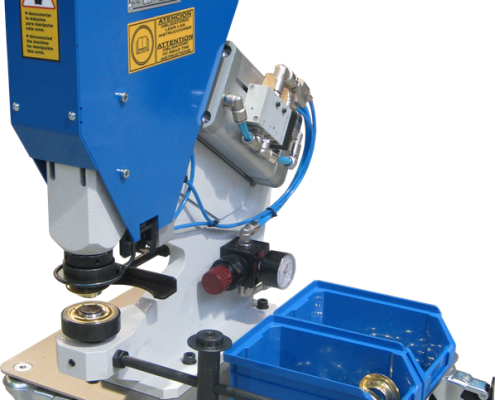 In one single action it will punch out a hole in the material whilst simultaneously setting the eyelet or grommet. 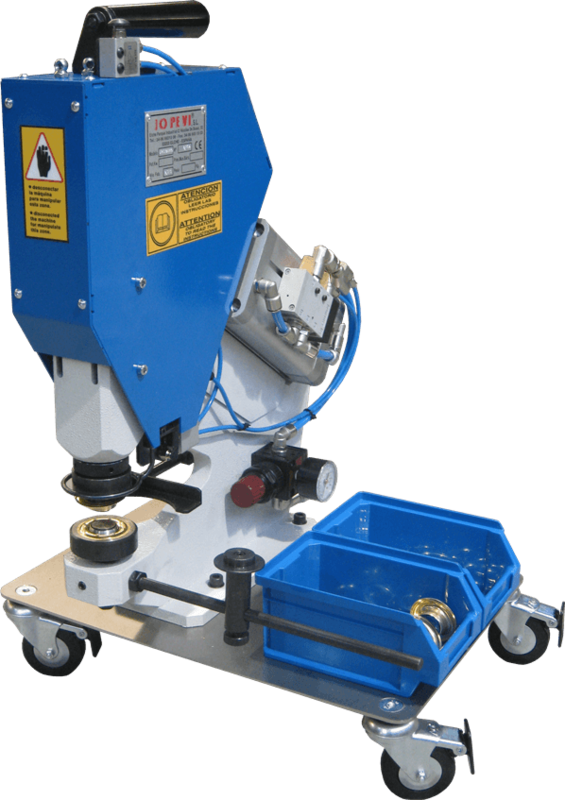 Can be supplied with or without bench, or mounted on castors for moving around the floor/ table when working with very large pieces of material. Does not require any electrical connection. 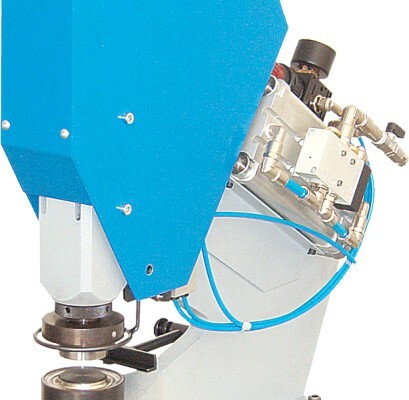 Sets sizes up to 66mm hole diameter. Sets eyelets in a wide variety of materials including vinyl, plastic, canvas, cloth and leather. This video demonstrates the PMJ25 inserting oval eyelets.